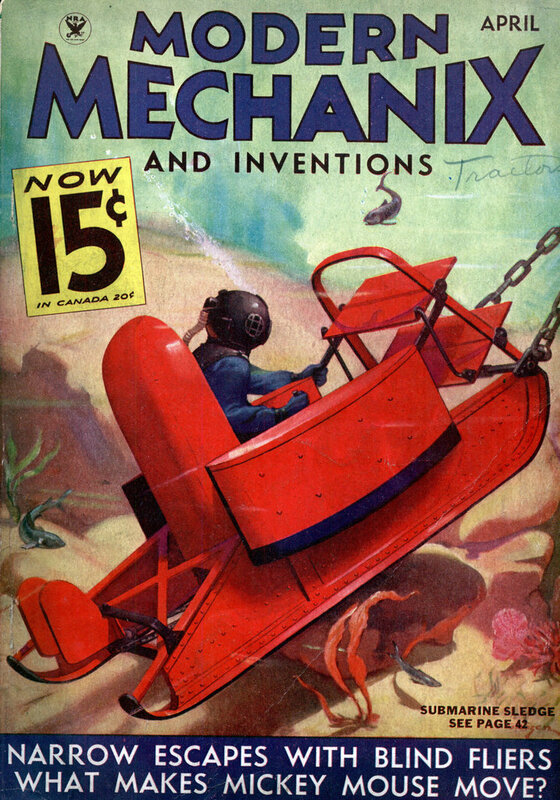 AN ARRAY of modern inventions, products of twentieth century ingenuity, are part of the White House equipment to make the President’s day less strenuous. A host of mechanical aids are at hand. The White House kitchen is a model of efficiency. A 24-foot electric range prepares a single pot of tea or a sumptuous state banquet. 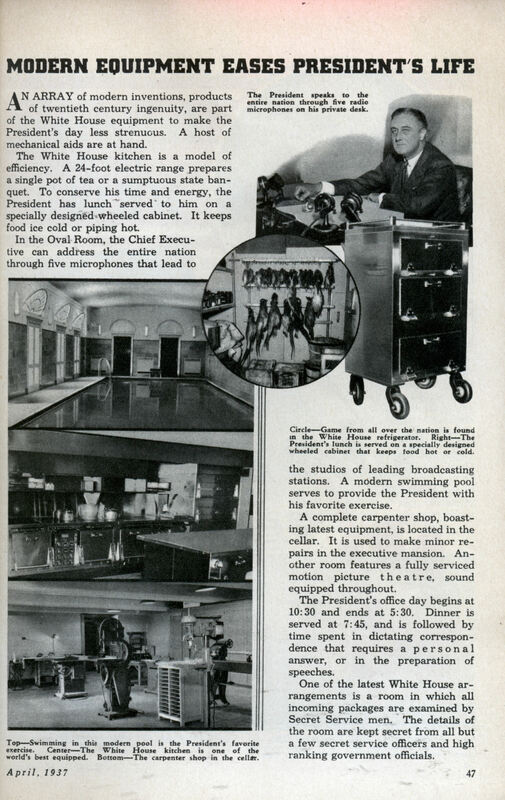 To conserve his time and energy, the President has lunch served’ to him on a specially designed wheeled cabinet. It keeps food ice cold or piping hot. In the Oval Room, the Chief Executive can address the entire nation through five microphones that lead to the studios of leading broadcasting stations. A modern swimming pool serves to provide the President with his favorite exercise. A complete carpenter shop, boasting latest equipment, is located in the cellar. It is used to make minor repairs in the executive mansion. Another room features a fully serviced motion picture theatre, sound equipped throughout. The President’s office day begins at 10:30 and ends at 5:30. Dinner is served at 7:45, and is followed by time spent in dictating correspondence that requires a personal answer, or in the preparation of speeches. One of the latest White House arrangements is a room in which all incoming packages are examined by Secret Service men. The details of the room are kept secret from all but a few secret service officers and high ranking government officials.